Thank you all so much for an incredible year this year!!! 2017 brought record sales, the release of a new book and comic series and much, much more. Word is obviously spreading as orders come in from around the world and I cannot thank each and everyone one of you for the support!!! Book 5: I can't announce it yet but its coming together beautifully and a formal announcement will be coming up soon. It is still on pace for a Spring release too so keep checking back for more news! 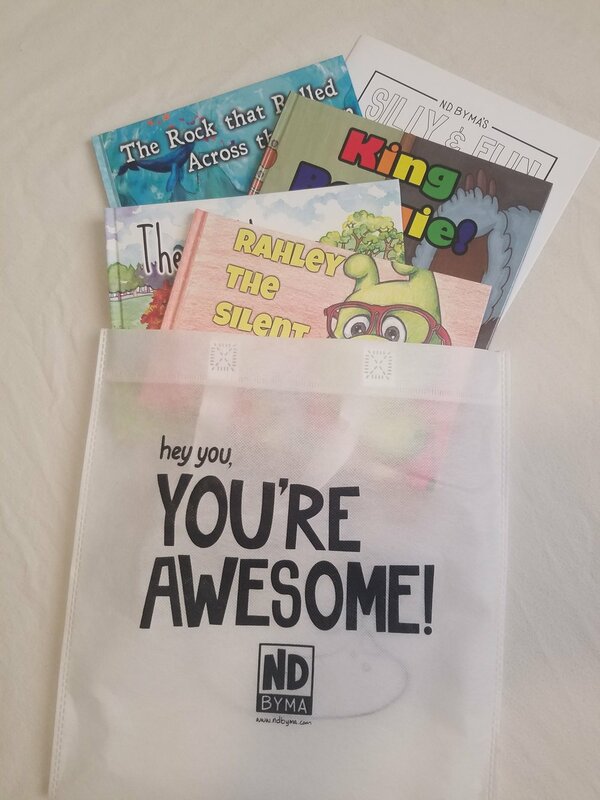 New Product in the N.D. Byma Store: Visit the shop section of ndbyma.com to find a new bundle package which includes all four books signed, a tote bag and coloring books! Get it while supplies last! New Book Update: It's Not Goodbye, It's See You Soon.